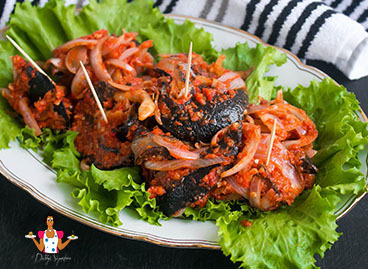 I'm in love with snail, especially when it's prepared with lots of pepper. Add onion to the mix and i'll fall had over heels over and over again. Looking for a highly proteinous source of food? Snail has got it. 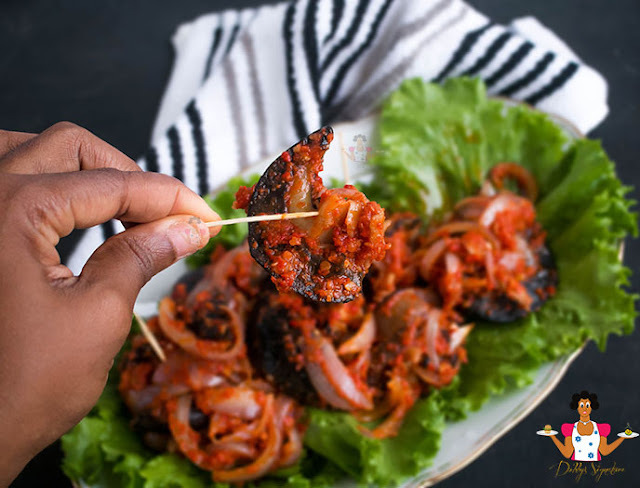 There are quite a number of snail farms around but not enough and this is one of the reasons why this tasty shelled molluscs are highly priced. The average snail contains 80% water, 15% protein and 2.4% fat. It also contains essential fatty acids, calcium, iron, selenium; and magnesium. It’s also rich in many essential vitamins such as Vitamins A, E, K and B12 just mention a few. 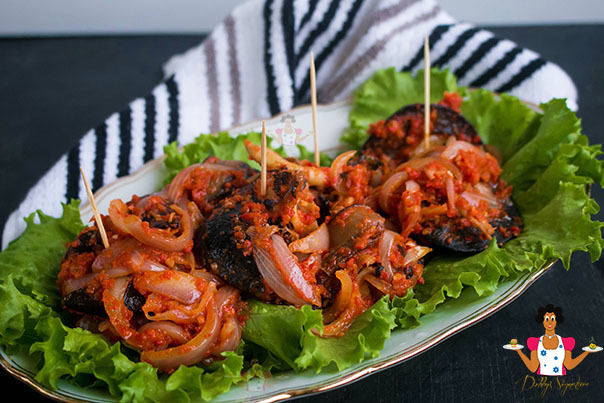 Snail meat can be used as an alternative to Beef and chicken. Do you love snail? Then you'd love this quick stir-fry. Perfect as an appetizer. Step 1: The first step is to remove the snail from it's shell. Using Alum or lime and water, clean off the slime from the body of the snail till it's no longer slimy. Please note also that using alum or lime toughens the snail. Step 2: After rinsing the snail, remove the head and divide the snail into two. Rinse once more and place in the pan. Step 3: Add about 2 cups of water and season with salt. Leave to cook on medium heat for about 10-15 minutes. Turn off the burner and drain out the water. Transfer the snail to a different bowl and set aside. Step 4: In a frying pan, heat the vegetable oil till hot. Add the red onions and stir-fry for 1 minute. Add the pepper puree, salt to taste and crushed seasoning and the snail. Stir-fry for about 5 minutes before turning off the burner.